Chemnitz, 15. August 2018 – The Management board of 3D-Micromac AG has appointed Jan Klinger as Chief Sales Officer. Since the 1st of July 2018 he has been in charge for the strategic planning of the Sales, Technical Sales and the Marketing departments of the Chemnitz mechanical engineering company. Jan Klinger completes the management and is responsible for the further development and definition of a comprehensive sales and marketing strategy. These include the development of new market fields, customer communication, the product portfolio and the strategic expansion of the international sales network. During his career he has held various management positions in sales, technology management and operational management in successful companies – for example with Applied Materials and HSEB. With over 20 years of professional experience in these areas, Jan Klinger brings valuable industry know-how to the company. “We are very pleased to appoint an experienced sales expert as Chief Sales Officer with Jan Klinger. With his extensive expertise and leadership, we are confident that we have won over a strong member for our executive board”, says Tino Petsch, CEO of 3D-Micromac AG. 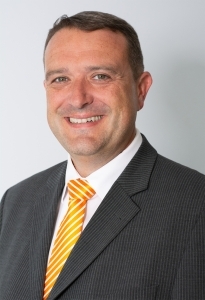 The Management Board of 3D-Micromac AG has appointed Torsten Scholl as Chief Operation Officer. He takes over the production management of the Chemnitz mechanical engineering company from the 1st of July 2018. He is responsible for the project management, production planning, production and assembly as well as internal service and logistics. At the same time, he has been appointed as a member of the management board. “We are pleased that we found with Torsten Scholl a production manager from our own ranks, who has known the company for many years. 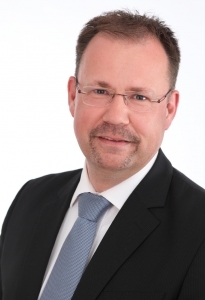 He will support us with his experience in realizing our corporate goals as well as expanding and developing our leading position as a specialist in laser micro machining”, explains Uwe Wagner, board and CTO of 3D-Micromac. Torsten Scholl has more than seven years of experience in project and production management at 3D-Micromac. After studying industrial engineering at the TU Dresden and a long stay abroad, he worked successfully in the consulting of start-ups as well as in the fields of technology transfer, innovation management and coaching. He joined 3D-Micromac in 2011, at a time when research customers were increasingly being replaced by industrial customers. With the development of project management for the company, he quickly achieved significant successes and headed the department from 2013 onwards. The former Chief Operation Officer, Dr. Roland Giesen, will leave the 3D-Micromac on August the 31st 2018. After an intensive training, beginning on the 1st of January 2019, he will take over the management of Fabmatics GmbH together with Heinz Martin Esser. The Management Board and the Supervisory Board of 3D-Micromac AG thank Dr. Roland Giesen for the work done and wish him both personally and professionally all the best for the future.